People are curious how I work so I decided to capture the chaos of the process. 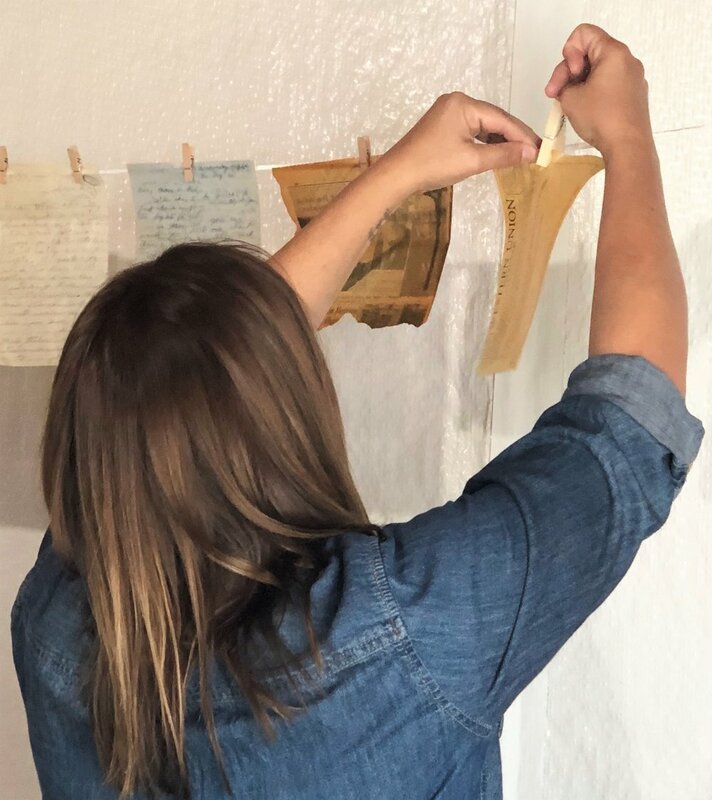 I work with found objects and currently I am using personal letters my father wrote to his parents during the Korean War. 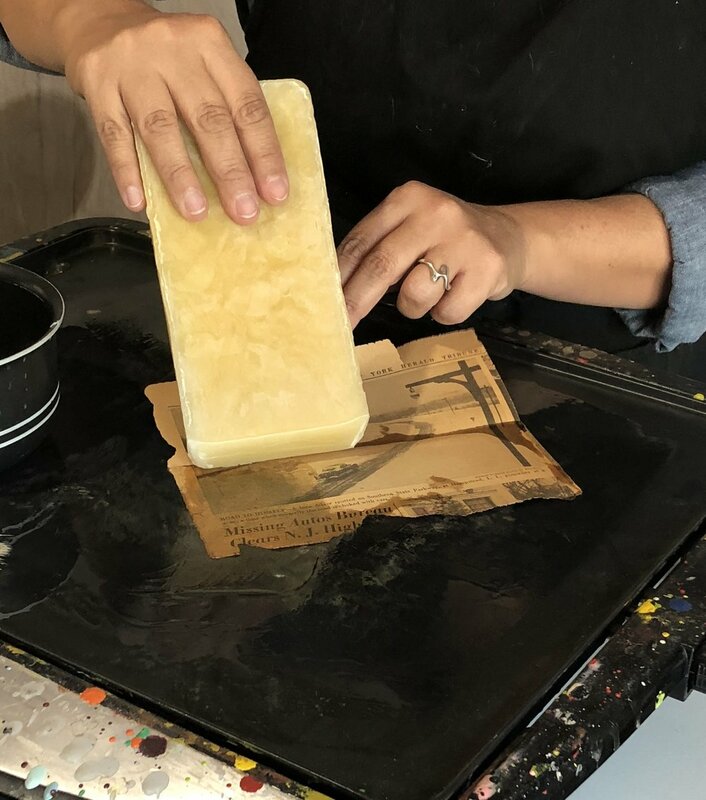 I am preparing a new body of work by coating the letters with melted beeswax (part of the encaustic process) to preserve them. I finally (and fortunately) have a studio to call my own. It is in our unfinished basement, but it looks out onto our gorgeous garden and patio. Shout out to my daughter, Skye, for photographing these. Update: I got a new studio! I applied to join Mainframe Studios in downtown Des Moines and was accepted. I moved in on August 1 and am getting settled. Come visit me every First Friday from 5-8pm and tour my space, Studio #456. It’s a built-in community of artists and patrons and I’m grateful for the new relationships and conversations I am starting here.